The Luxilon 4G 130 is the number 1 tennis string on Pro Tour. It delivers maximum tension maintenance and excellent playability without compromising on legendary power and spin, which makes it a perfect choice for aggressive players. This co-polyester string with a monofilament core should also meet the needs of those who look for enhanced durability and improved comfort. It has a gauge of 16 (1.30mm) and is available in a 200m (660ft) reel. The string is made in Belgium. 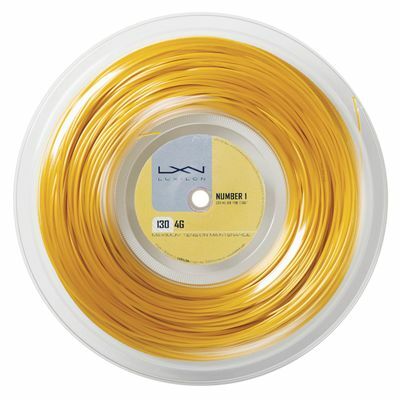 for submitting product review about Luxilon 4G 130 Tennis String - 200m Reel.